Bridges and crowns are fixed prosthetic devices that are cemented onto existing teeth or implants. Crowns are used most often to entirely cover or “cap” a damaged tooth or cover an implant. You may be recommended a crown to replace a large filling where there isn’t enough tooth, to attach a bridge, to restore a fractured tooth, or to protect a weak tooth from fracturing. Crowns are also used to cover poorly shaped or discolored teeth or to cover a tooth that has had a root canal treatment. 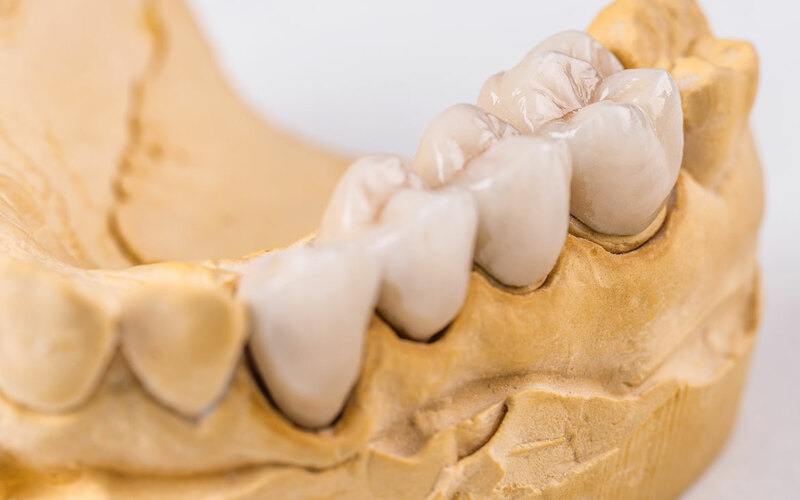 Bridges cover the space where teeth are missing and are cemented to natural teeth or implants surrounding the space. Covering gaps that are left by missing teeth can prevent the remaining teeth to shift. Shifting can cause a bad bite. This scenario can also lead to TMJ disorders as well as gum disease.